Successfully Added Beanie Hat With Built-in Headphones - Horned Ends, Black to your Shopping Cart. Beanie featuring in-built headphones and cool up thrust horns, letting you listen to your music collection whilst fashioning a great beanie hat and keeping warm! This beanie hat is great for the winter time to keep you warm and looking great! Featuring 2 built-in headphones in each side of this beanie hat, you'll receive great quality sounds directly through the hat. This beanie not only comes with in-built headphones but also features a pair of horns on the top of the beanie, for added fun! Listen to your music from your iPhone, android phone, MP3 player or any other PMP with a 3.5mm earphone connection with this hat and keep yourself warm at the same time. And speaking of your iPhone, the beanie hat's 3.5mm earphone connector also comes with a built in MIC allowing you to talk as well as listen! 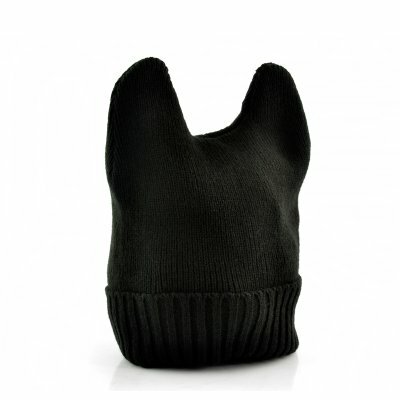 Purchase this beanie hat for the winter months. Brought to you at an amazing low price by the online leader in hat/earphone and electronic accessories, Chinavasion.